Home › Website: NFO › Introducing NFO’s “WALL OF FAME”! Introducing NFO’s “WALL OF FAME”! by Sandi — January 14, 2018 — Comments Off on Introducing NFO’s “WALL OF FAME”! 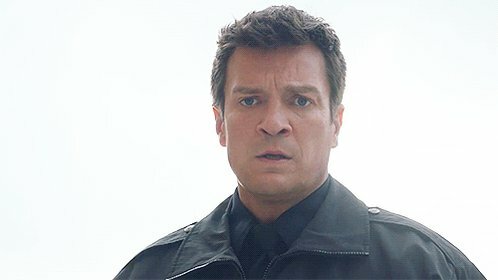 Are you a frequent visitor of Nathan Fillion Online? As you might know, NFO has been online for about 8.5 years providing updates and high quality photos of Nathan to fans. Throughout the years, the expenses of maintaining and building the website can get expensive with the annual domain renewals, potentially changing to a paid host (in the works as it will be more secure, reliable and no ads! ), new layouts and majority of the challenge is gathering high quality untagged photos to share on our site and gallery. So donations are always welcome whether in the form of photos/captures to our gallery or financially towards the operations of the website. I can assure you, any monetary compensation received will be put towards continuously making NFO even better. As such, we are introducing NFO’s “Wall Of Fame” as a thank-you for your donations! Nothing is too small and anything will make a significant impact. Any of the below that you noticed is missing from the gallery! Send photo donations to nfilliononline[@]gmail.com. Thank you to the members of our community below that have donated to keep NFO running on the web. We will be having something done in the future for contributors that have donated. Stay tuned for that. Update Jan 2018: As our first thank you to original contributors, I’ll will be hosting a (randomly chosen winner) giveaway for one of the items in the upcoming Firefly themed Lootcrate box (FEB 2018). TBA which item when the box contents are revealed and shipped out. This will be open only to our contributors/donators.